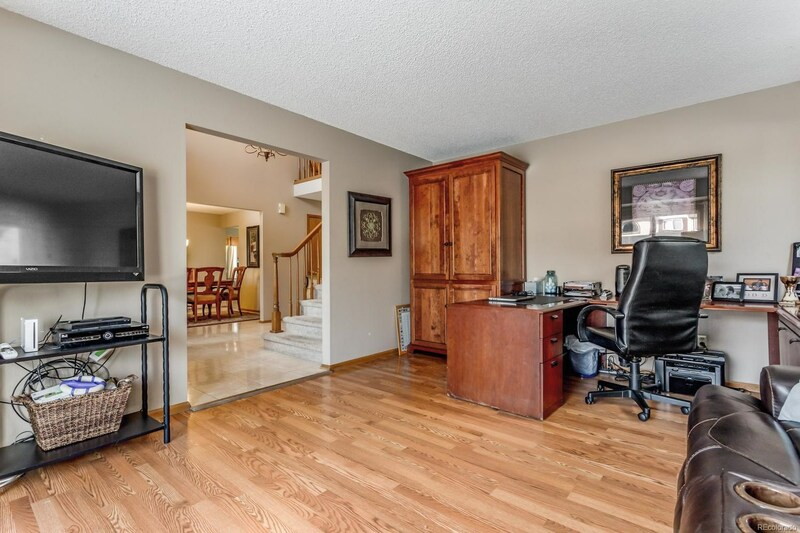 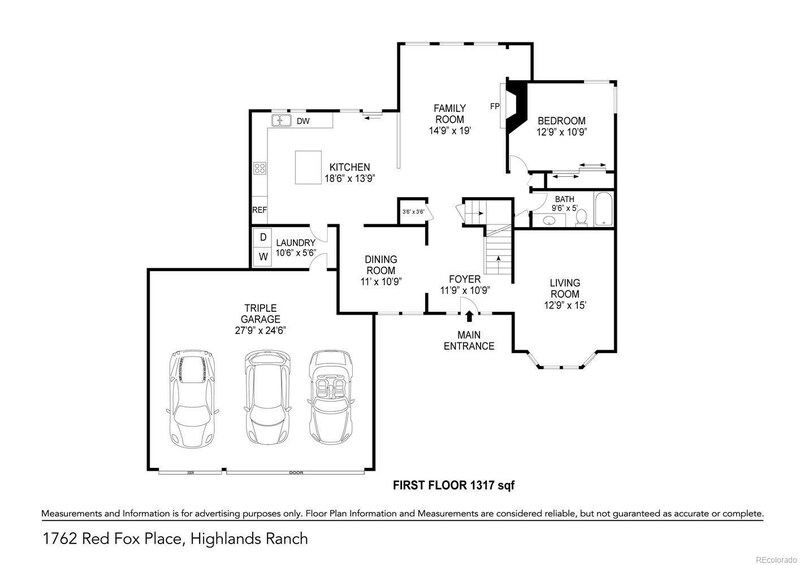 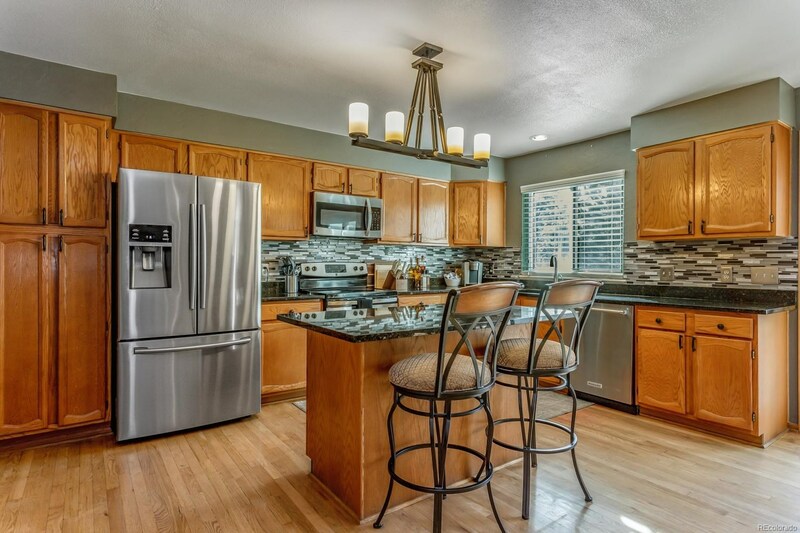 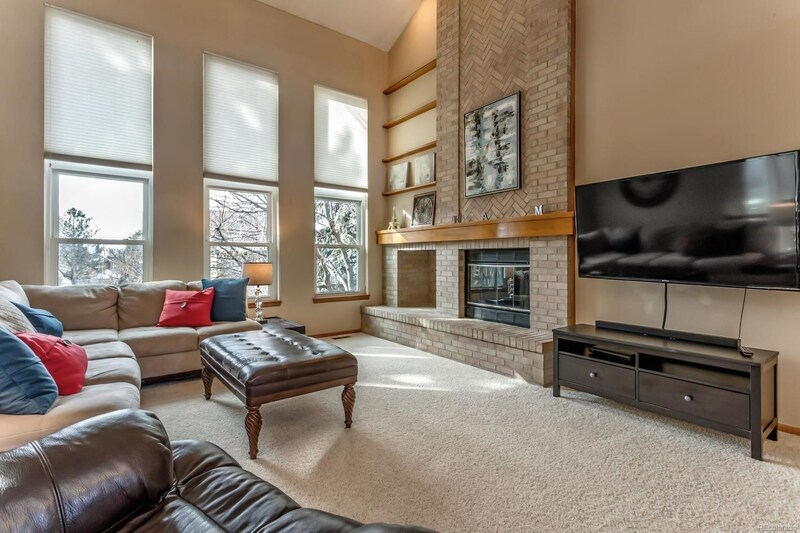 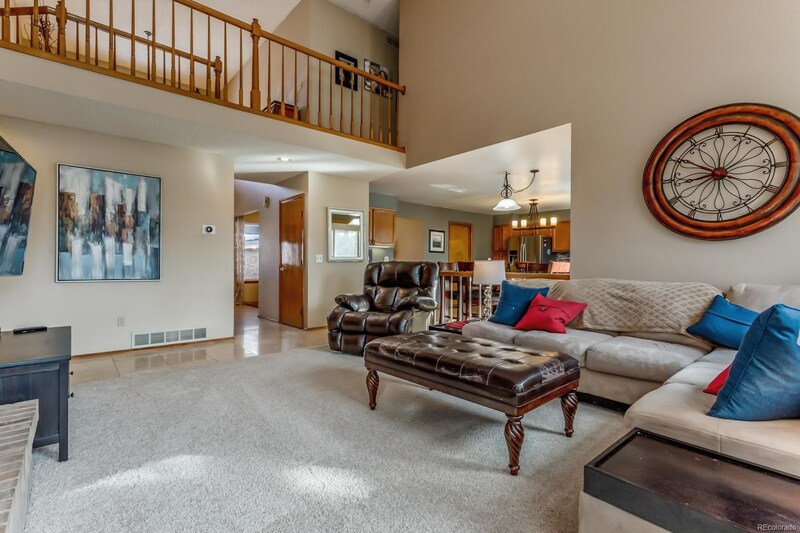 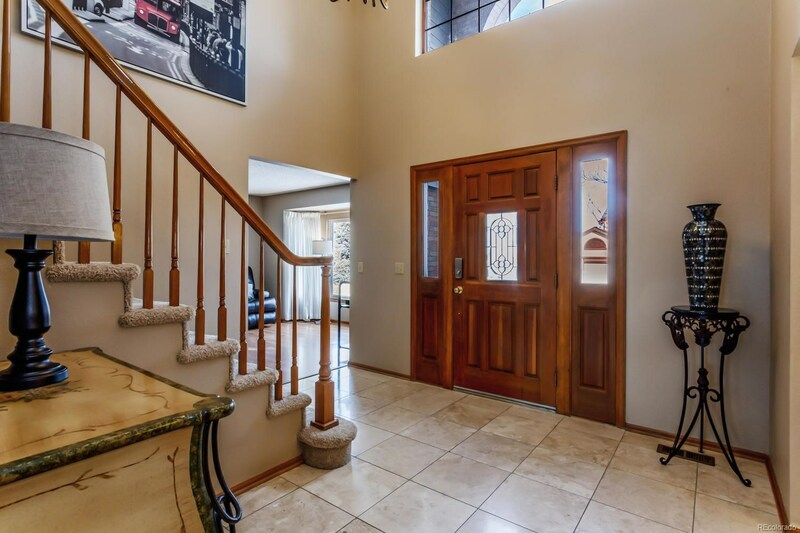 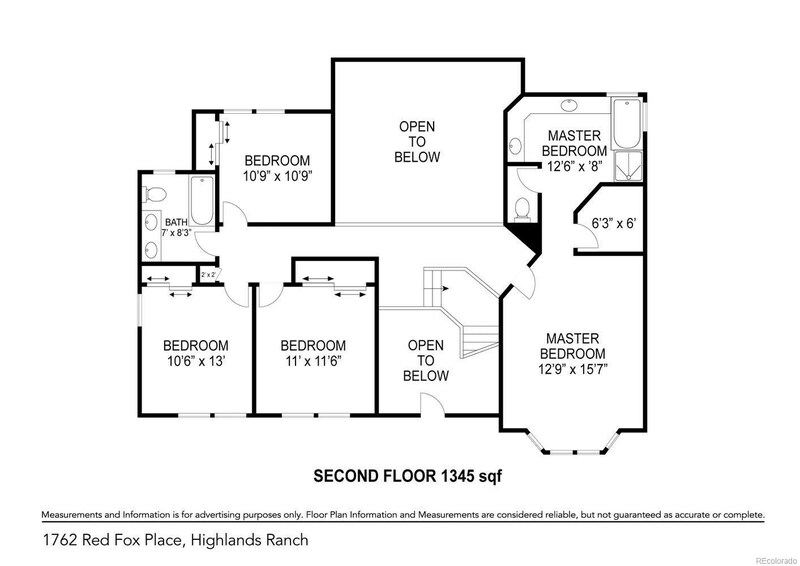 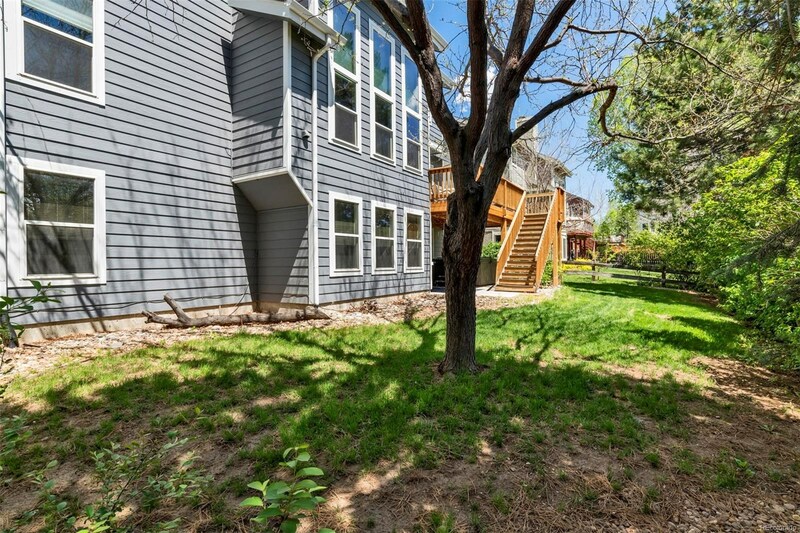 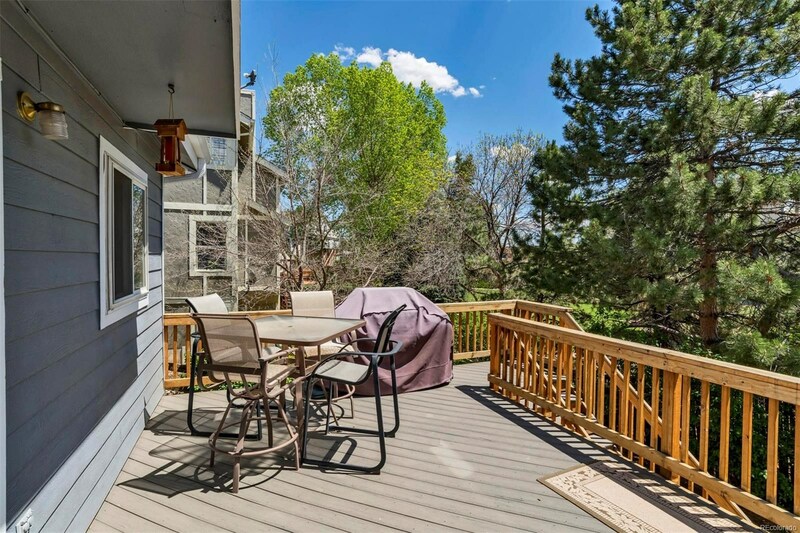 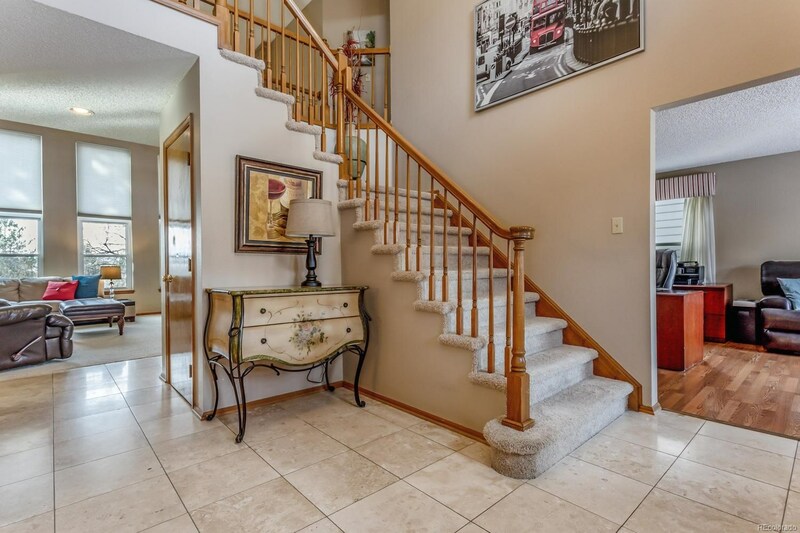 Walk in to your beautiful Highlands Ranch home and you're in the foyer. 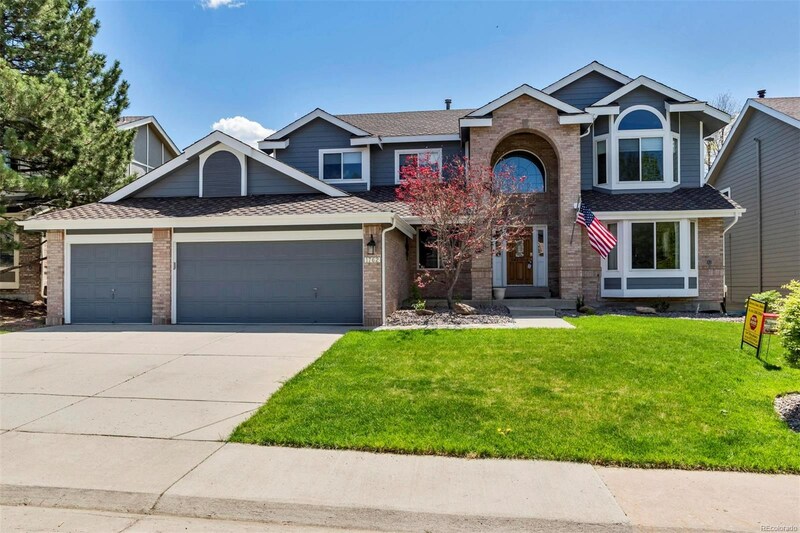 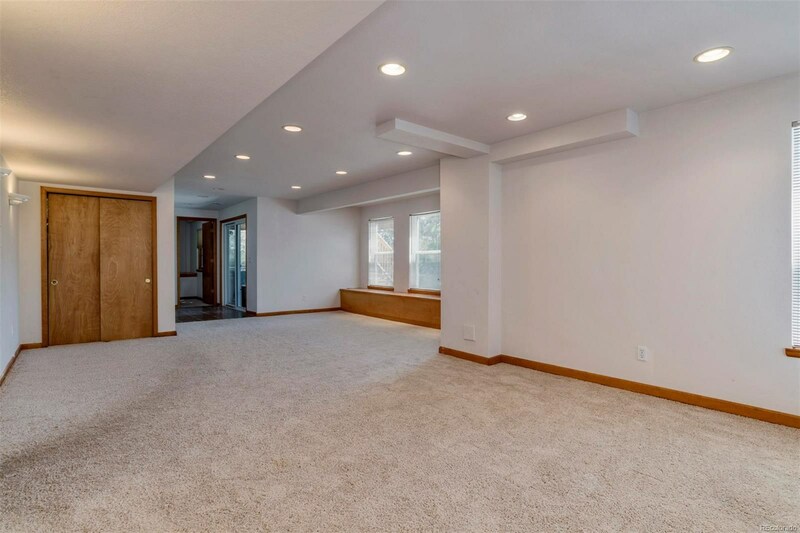 Take a few more steps in and you'll immediately notice the soaring ceilings, 2 story windows and amazing kitchen with granite countertops and stainless steel appliances. 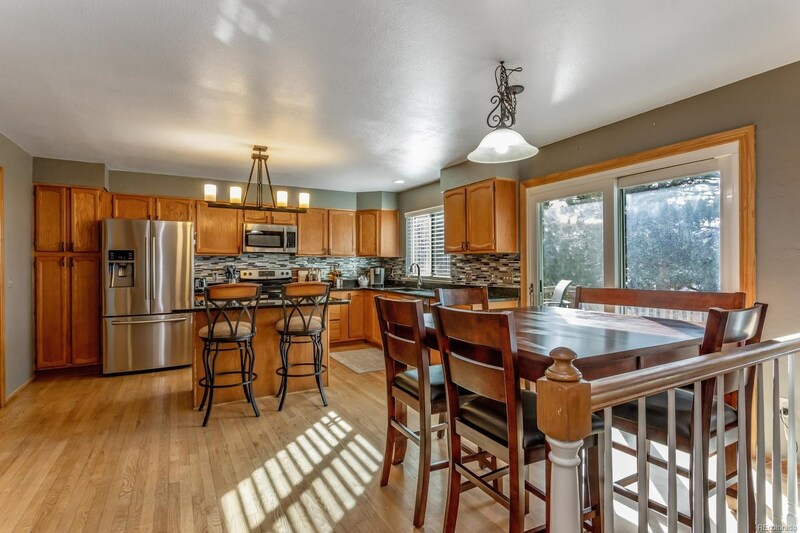 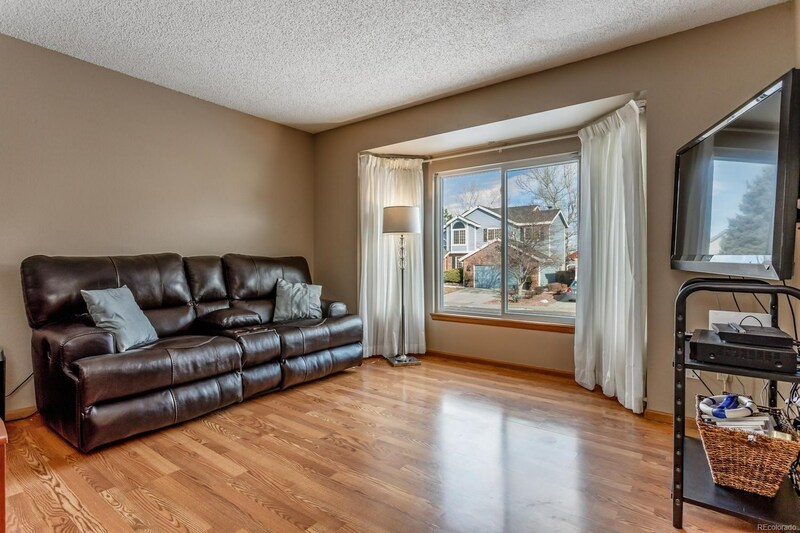 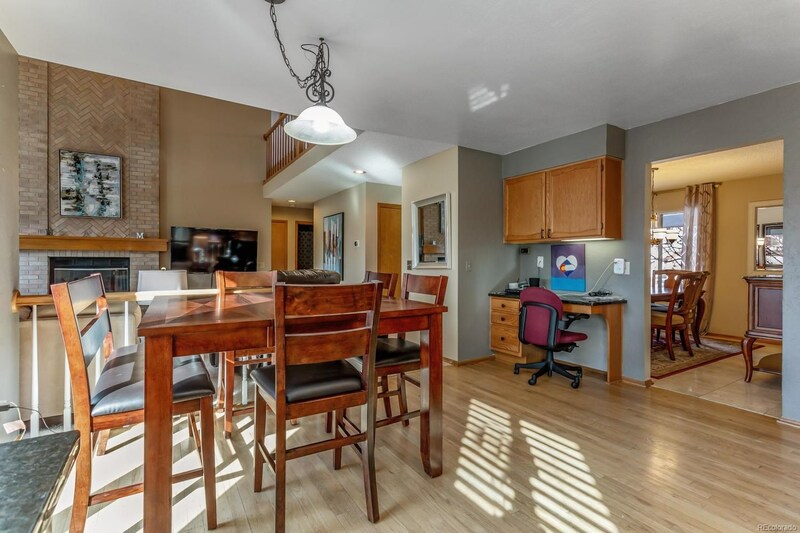 Kitchen has eat in area and opens onto the family room, great entertaining space with wood burning fireplace. 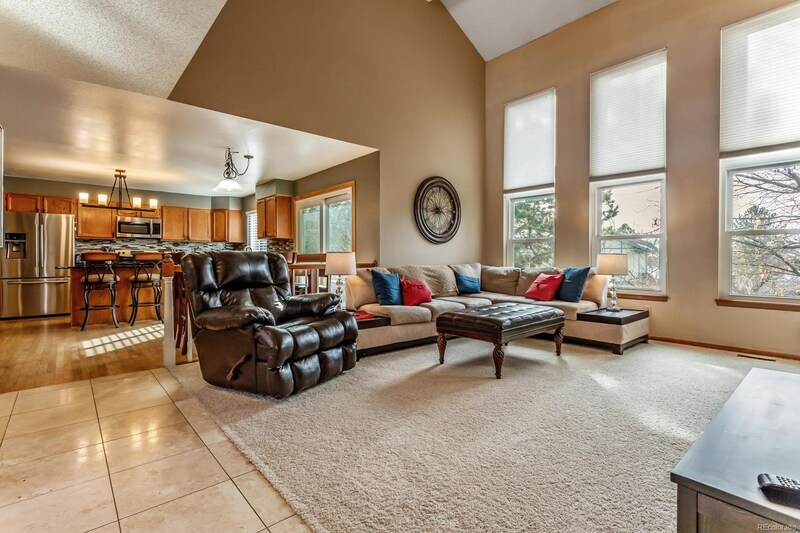 Living room is at the front of the house which is set up as an office space. 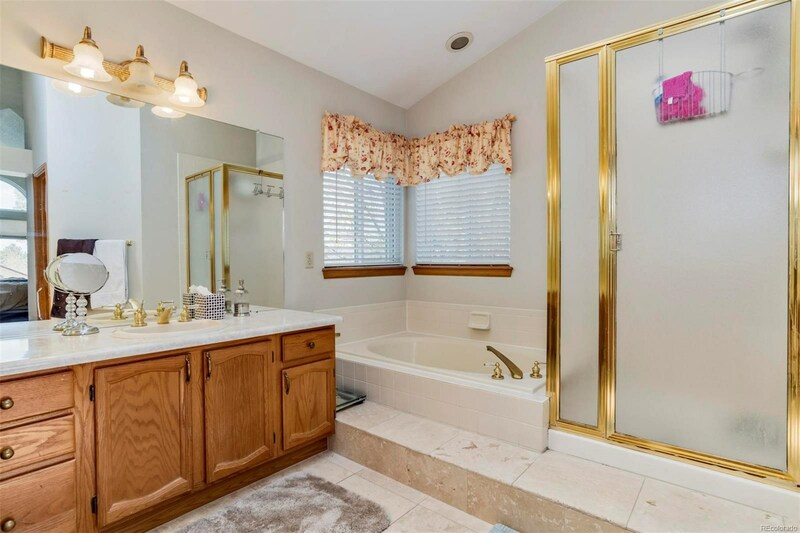 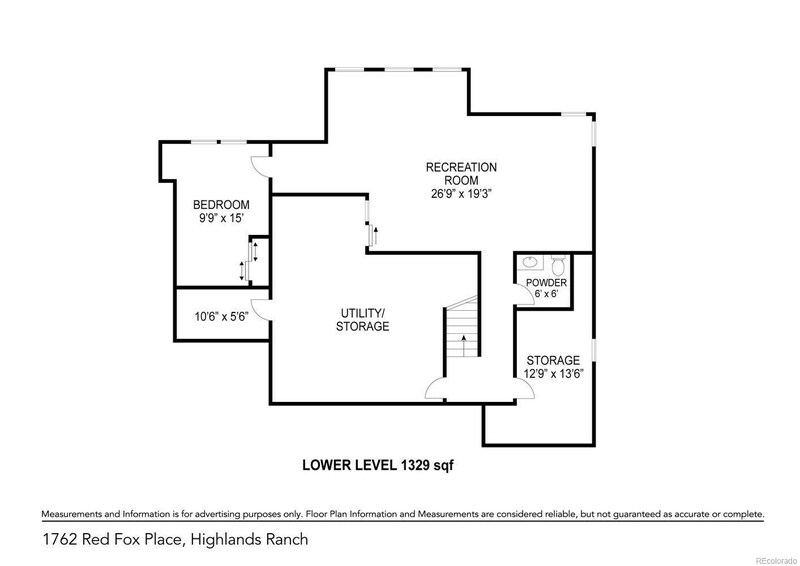 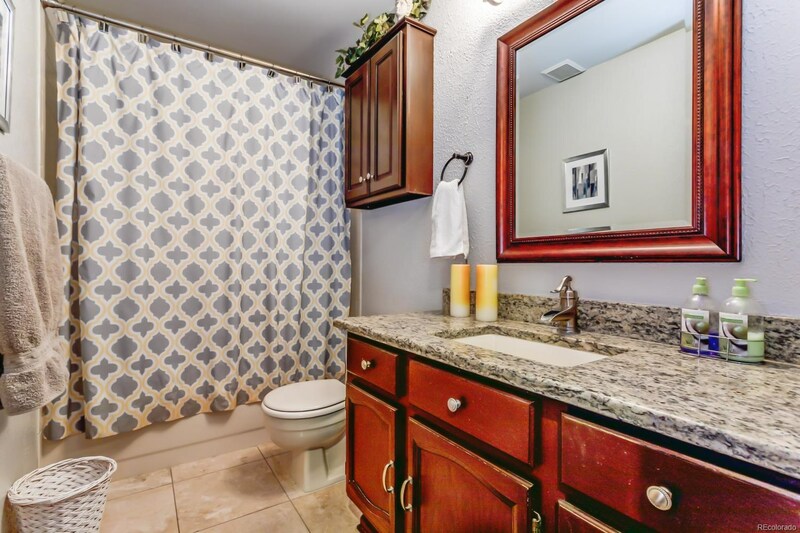 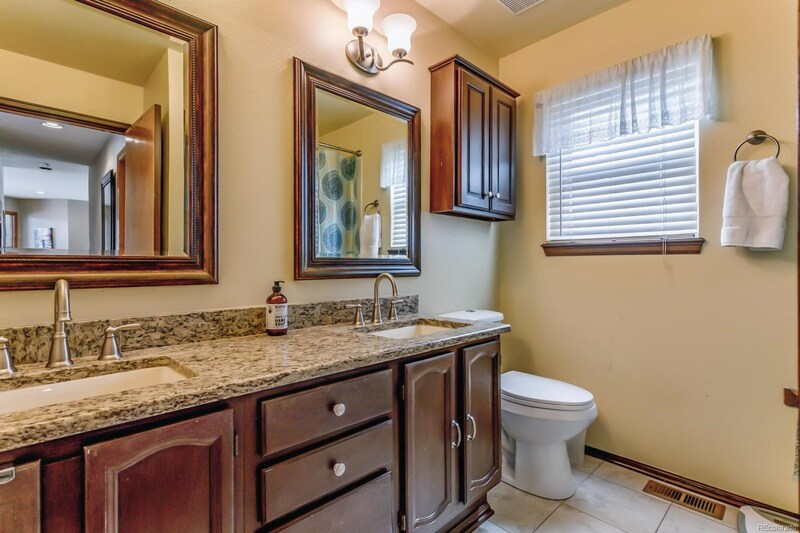 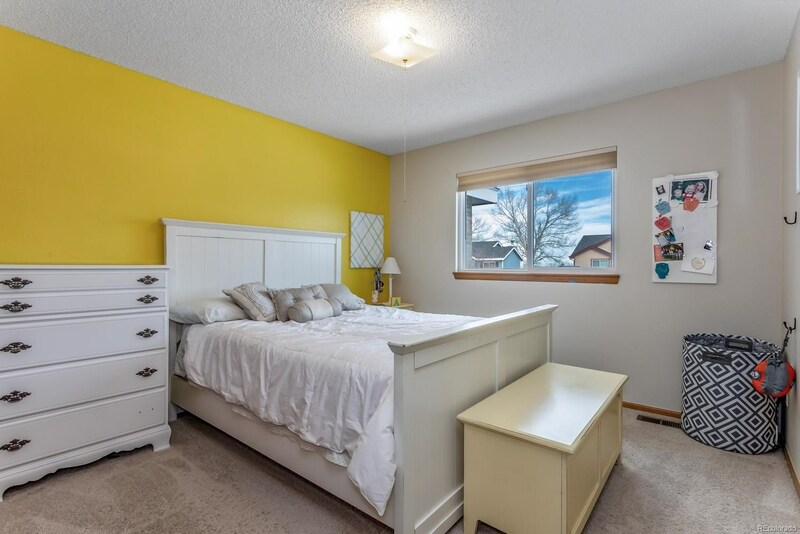 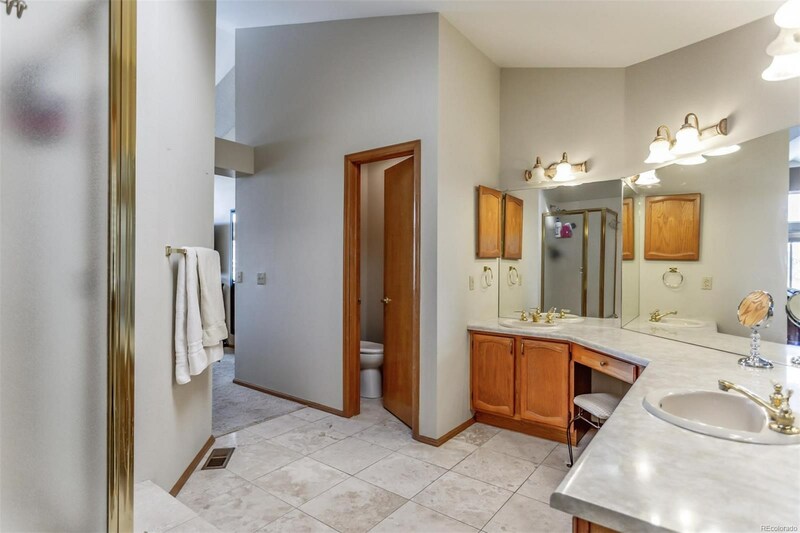 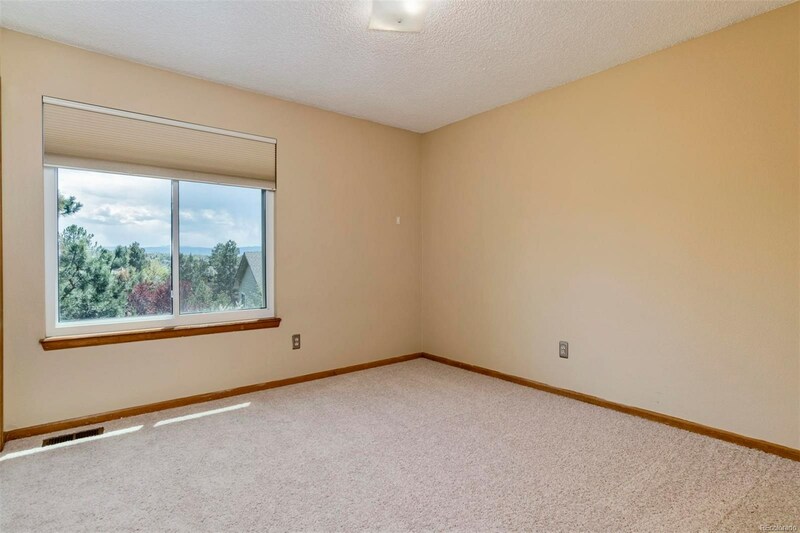 Don't miss the main floor bedroom and full bath! 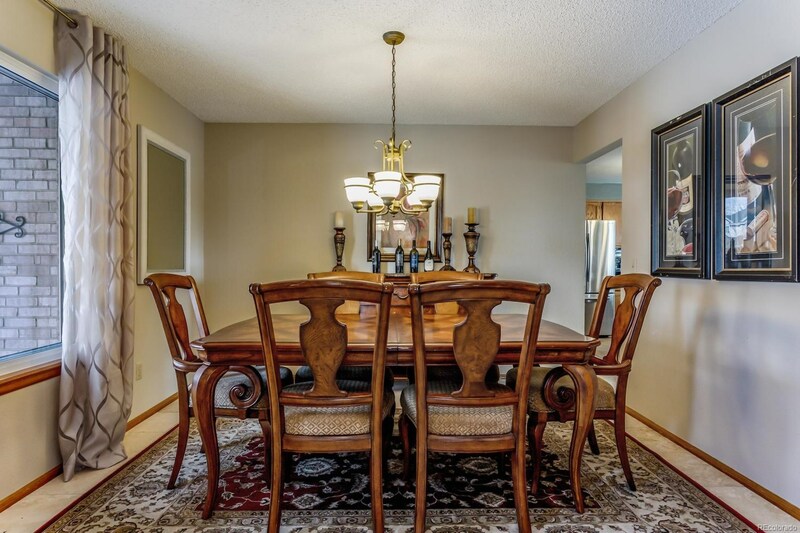 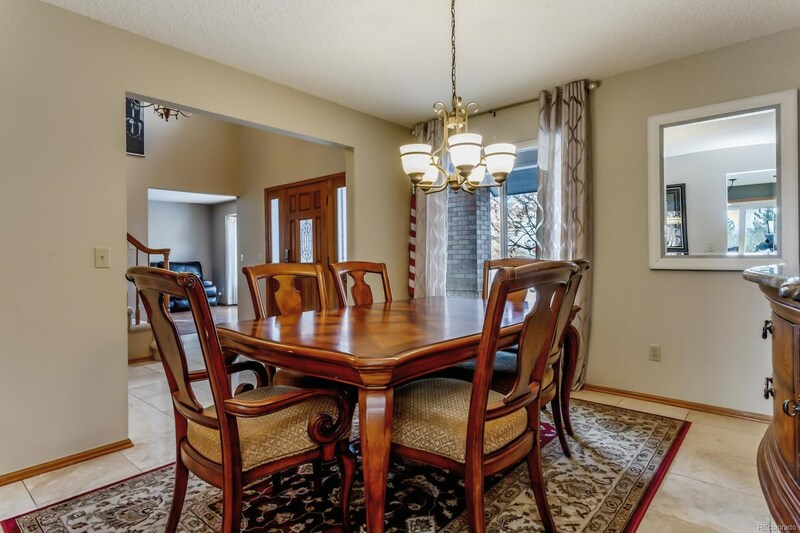 Large dining room has beautiful windows. 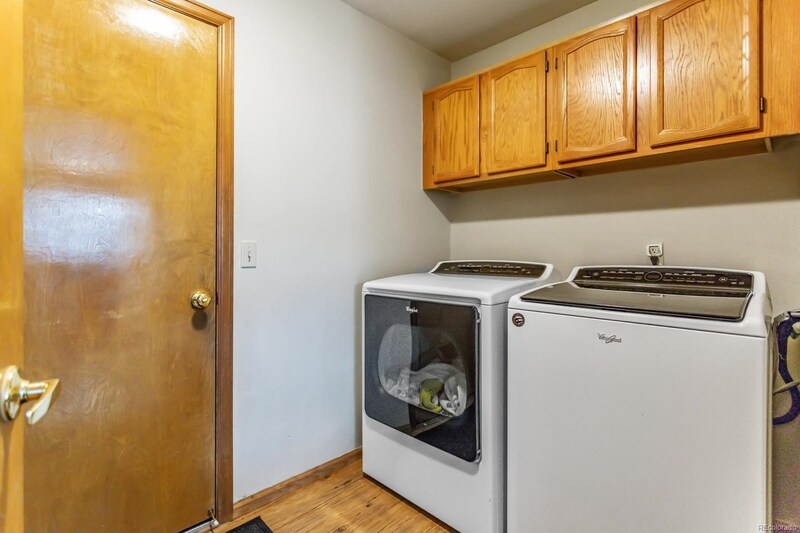 Clothes washer and dryer are right when you walk into the house from the garage. 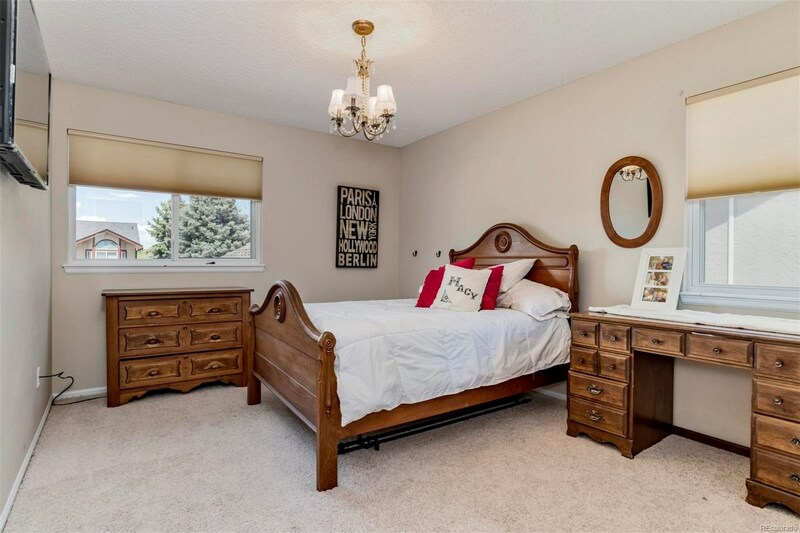 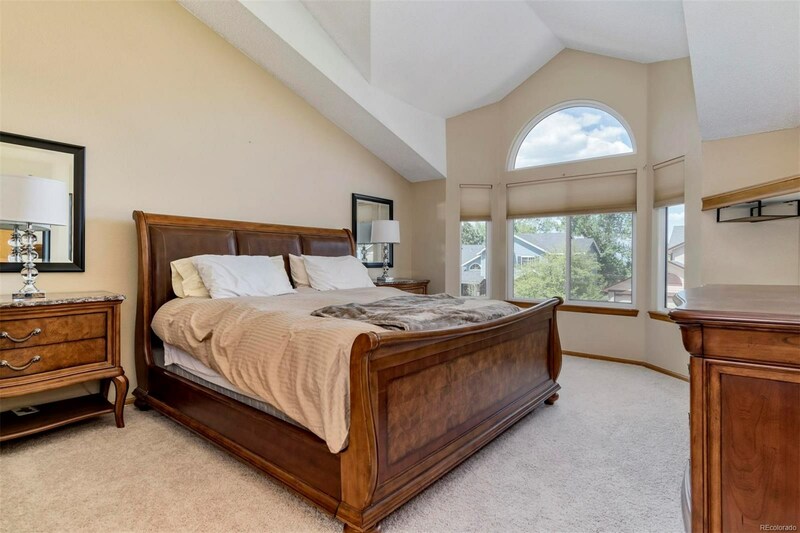 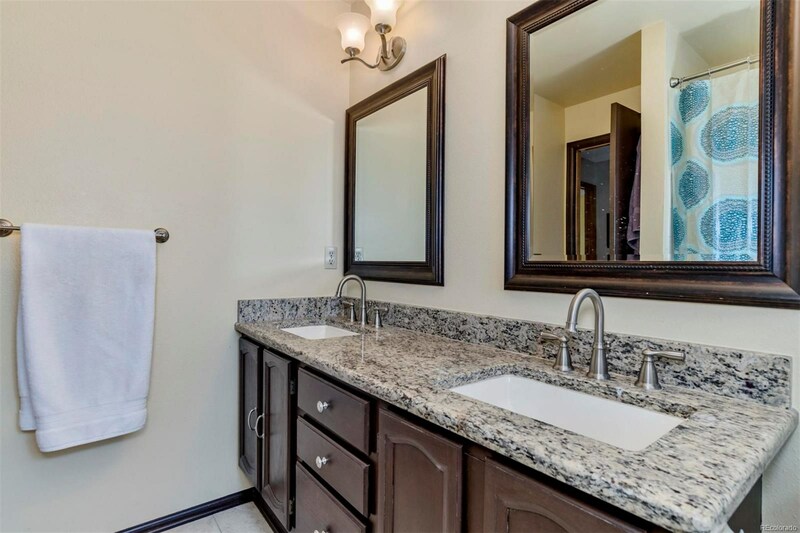 Upstairs is the Master Suite with vaulted ceilings, walk in closet and 5 piece bathroom! 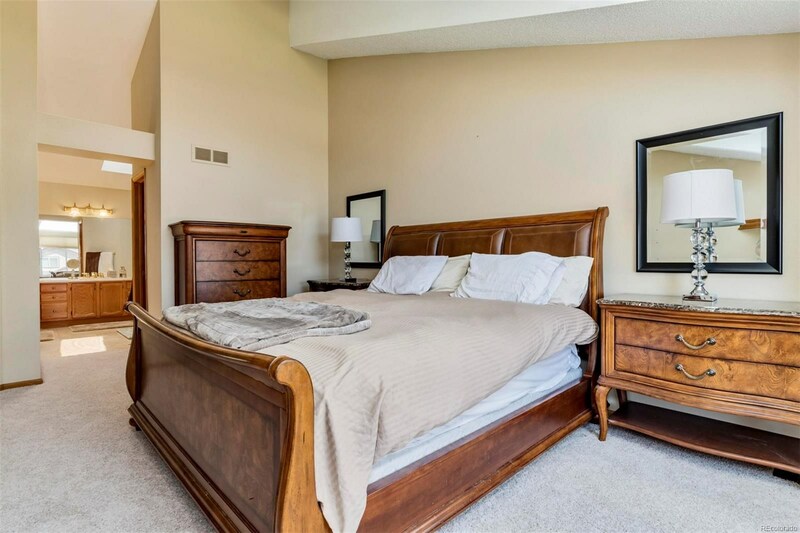 Down the hall across the open walkway are 3 more spacious bedrooms and an additional full bathroom. 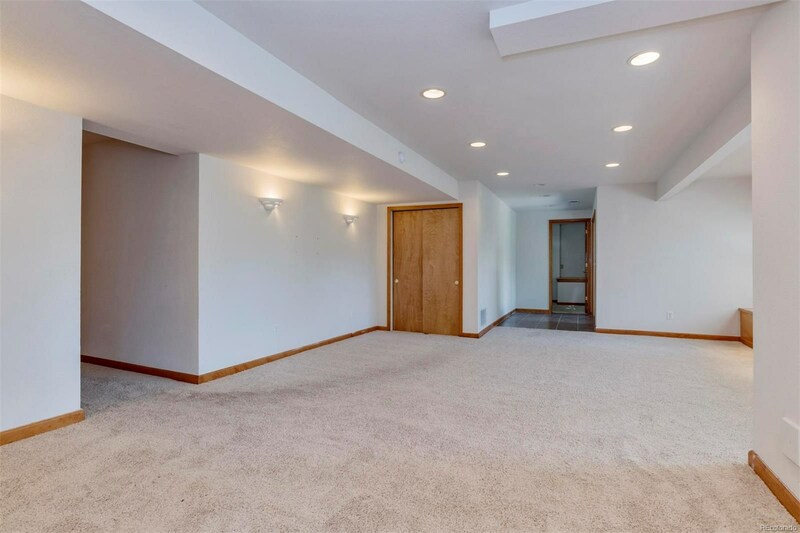 Don't forget to check out the finished WALKOUT basement with recreation room, additional bedroom and bathroom! 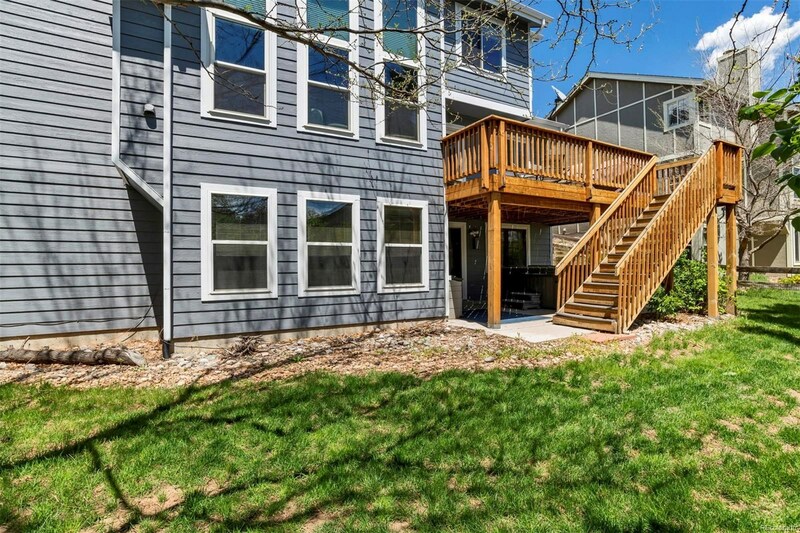 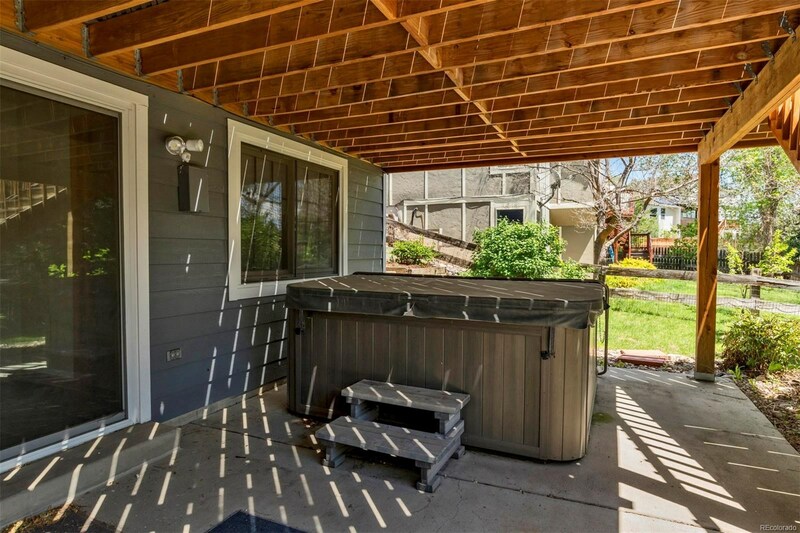 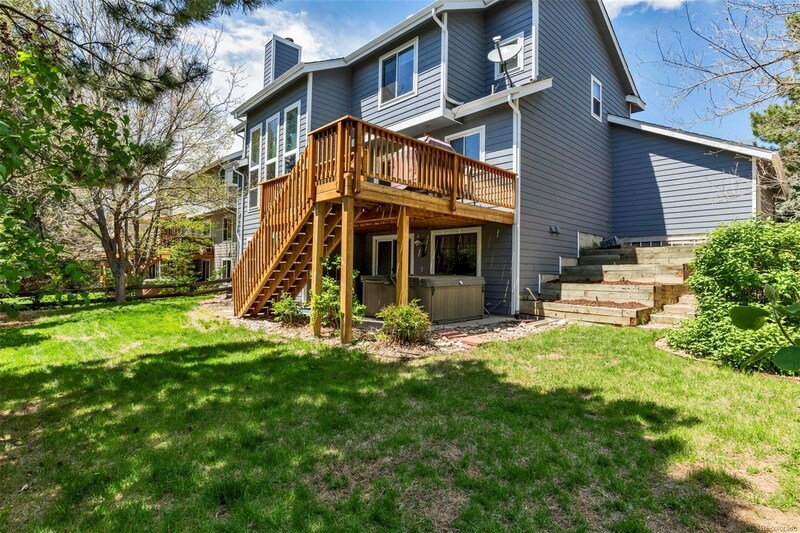 Right out the back door is the hot tub just below your newer trex deck. 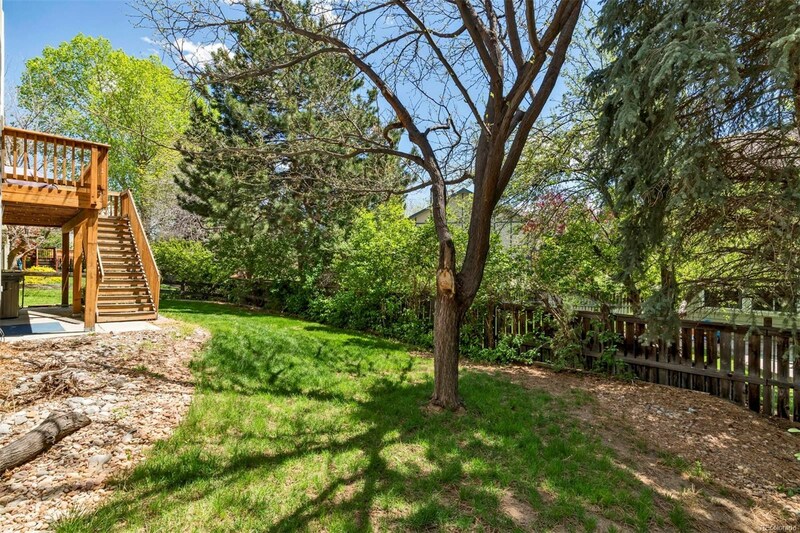 Great yard with flower boxes.